Orvelle's products are currently in use in consumer-based products, professional audio, musical instrument, industrial and military systems. 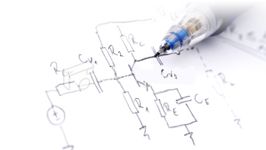 We specialize in printed circuit board layout, prototype assembly, schematic drawing, bills of material development, parts sourcing and much more! Orvelle Technologies, Inc., is an electronics design consulting firm specializing in the design, development, and production of custom analog and mixed-signal products. Orvelle was formed in 1991 to satisfy a growing need for custom audio designs. 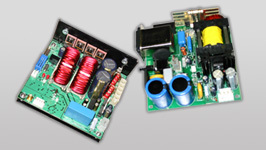 Since that time, Orvelle has developed significant expertise in the field of Class-D audio amplifiers, switchmode power supplies, peripheral analog support functions, data convertors, and embedded control. Our products are currently in use in consumer, professional audio, musical instrument, industrial, and military systems. Contact Us for more information. "John and his team at Orvelle truly helped me bring my product dream into a reality! They helped from start to finish from electronic drawings to bill of material development, right down to helping me source parts. I can honestly say I could..."